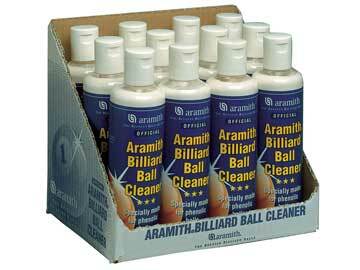 Aramith Ball Cleaner (display box of 12). Now keep your Aramith ball looking like new with Aramith's specially formulated cleaning agent. Regular use of Aramith Ball Cleaner will keep your Aramith phenolic balls polished and lustrous for years to come!